Tithe.ly provides a safe and secure platform to support Rustic Hills Baptist Church, its church family, and ministries who wish to give online. Get started here. Learn more about Tithe.ly by watching this short video. Clink here to watch. Open app store and search for Tithe.ly, download and open app. Choose to create account. Fill out the information and remember your PIN. Click Submit. Now Login and search for Rustic Hills Baptist Church. Click plus sign. Add your credit card number (you will only have to do this once). Choose and amount, click OK to give. 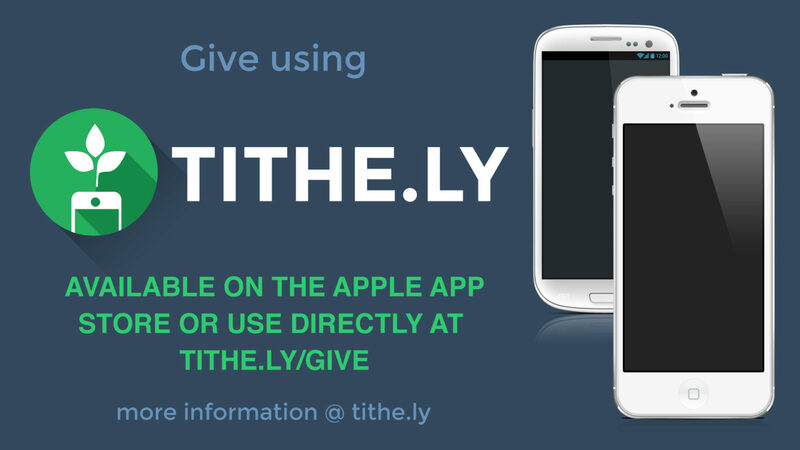 Tithe.ly has made giving convenient, safe, and easy. Just click the button to the right to get started.